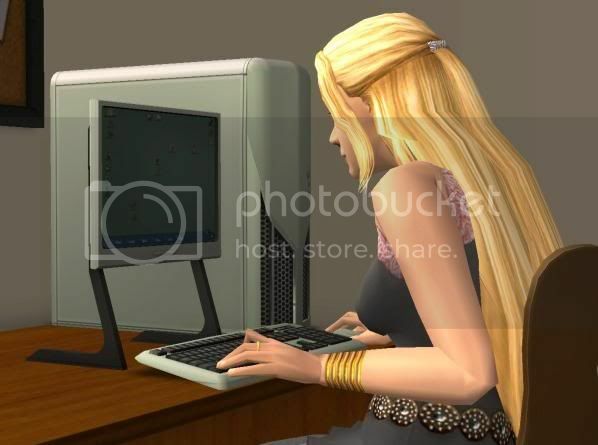 Blips: Selfsim Antics: Or Why Cindy Finds it Hard to Write. Okay, so it's not really birthday spam, but I hope you enjoy this little Selfsim exploit. #1 child: ((whining)) Moooommm... when can I use the computer? You said I could use it this morning! Me: ((sighs)) In a little while. #3 child: MOM! HE'S BUGGING ME! #2 child: She never lets me have a turn! #1 child: Mom! Aren't you done on that computer yet? #3: MOOOOOOMMMMM... Now he's shoving me! #2: Well, you never let me have a turn! #1: Mom, I think she needs a diaper change. #5: I no wan' be up here! Down! Down! Husband: Um... I think the baby needs changed. Much later, after the kids go to bed.